In Chaps. 5– 8, we discussed the theories of elasticity of one- and two-dimensional quasicrystals and their applications. 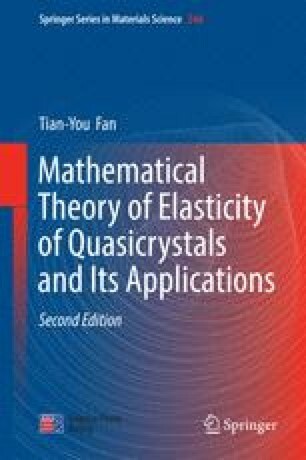 In this chapter, the theory and applications of elasticity of three-dimensional quasicrystals will be dealt with.